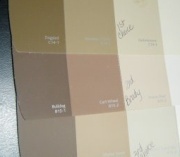 The process of finding the right paint color involves some tweaking. Here are the 3 main ways you can tweak your paint color to find just the right shade that will work with your decor. Sometimes all you have to do to make a wall color work in a room is simply adjust its value (lightness/darkness). If you like a particular color, but something seems off when you visualize or test it in your room, try the lighter and darker shades on the same color strip. Alternatively, you can ask your local paint store to shift the paint color for you - just explain to them how much lighter or darker you want it. Oftentimes, this simple step is all that's needed to find a shade that looks relevant and harmonious in your home. 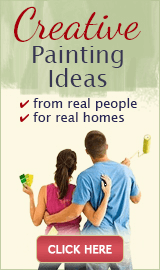 For more, see "Light and Dark Home Paint Colors". When matching paint colors to your decor, you don't have to repeat the color exactly. It's perfectly ok to use a color in a higher or lower intensity than your inspiration piece (intensity refers to how vivid or subdued a color appears). You see, there is no one right way to decorate your home. Some people like to repeat a color exactly throughout the space, while others prefer to use variations of it - for a more interesting, complex and layered look. So try both saturated and toned-down shades of a wall color to see which one looks more natural within the context of your room. One last thing you can tweak is color undertones. While value and intensity can (and often should) vary when matching paint colors to your furniture, fabrics and accents, undertones should remain the same. Undertones are the most elusive aspect of color - sometimes invisible to the untrained eye. When properly coordinated, they can pull your entire room color scheme together. When ignored, they can create some real dissonance in a space. 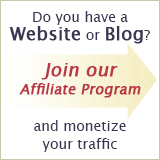 To learn how to see and use suble color like a pro, go to "Interior Paint Color Undertones". The process of paint color matching is half art, half science: test - tweak - repeat, until you find the one that makes your heart skip a beat! 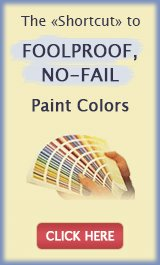 Where Do You Choose Paint Colors for House Painting?